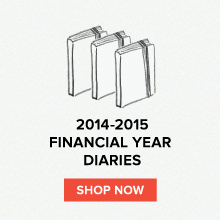 Field Notes: Lamy Nexx Citron - New Colour! Lamy Nexx Citron - New Colour! The Lamy Nexx is a classmate of the extremely popular Lamy Safari & Lamy Al-Star pen designs, which are all grouped under the Young Writing banner, but i think it's kind of like the mischievous kid in the bunch! I'm reminded of that gifted, brilliant youngster who neglects his potential and would rather sit at the back of the room tying to impress the girls. I mean, the Safari and Al-Star are so smartly dressed, right? I mean stylish, but cultivated and neat. The Nexx is all over the place. A silver barrel, a black grip, a fluoro cap! Don't make any mistakes here, it's equally as talented as its goodie two shoes buddies. But for some reason, we (Australia) tend to sneer at the Nexx and it is nowhere near as popular. 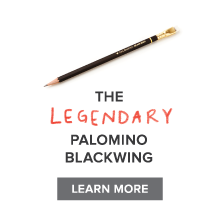 So to my fellow fountain pen users, I say 'get over it!' This isn't the 1960s and the Nexx is not a mop top do, so stop being such prudes! The Nexx, for all its disobedience, actually looks really cool. I like the three-tone colour you get with a posted cap, especially on the Red cap version, and the Nexx, which is a total hit in Germany's high schools and universities, is the embodiment of something we feel quite strongly about - that fountain pens are as relevant as ever, and a part of that thing we call style. So I'm happy to concede that such aesthetic considerations are purely subjective but we can still talk about it objectively, particularly in regards to how it writes, that potential talent mentioned earlier. Unsurprisingly, it's awesome! The rubberised grip is so soft and the rubber surface really removes any need to put pressure on at the fingers at all. It's so comfy. And when you post that fluoro cap you get this wonderful balance of weight, resting nicely in your hand but also, because of the rubber grip, there is quite a bit of weight down towards the nib. Nexx is made for beginners, to teach proper writing technique. The way the grip is moulded and the way the pen is weighted mean that the pen is held at the proper angle to make ink flow smoothly. This creates a relaxed grip which allows you to write for hours without fatigue or discomfort and also gets rid of that very Australian 'ballpoint claw' grip where the writer relies on the wrist to do all the work instead of the fingers. So come exam time, you can write those essays without discomfort...even if the Nexx considers itself too cool for Essay writing! This data recovery cape town software also give me help .I want everybody to know it. 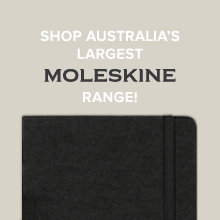 Back In Stock - Moleskine Pens! New Arrival - Rifle Paper Co!